What’s your vulnerability assessment style? Are you scanning weekly, monthly or quarterly? And, what does your scanning habit reveal about the maturity of your organization’s vulnerability assessment practices, a critical part of cyber hygiene? These are the key questions Tenable Research set out to answer in our Cyber Defender Strategies Report. We discovered four common vulnerability assessment strategies in use today. These strategies tell us how mature an organization’s vulnerability discovery process is – and help us identify ways to improve. - Learn what the four vulnerability assessment styles tell us about cyber risk maturity. - Compare your vulnerability assessment strategy to these four common scanning styles. 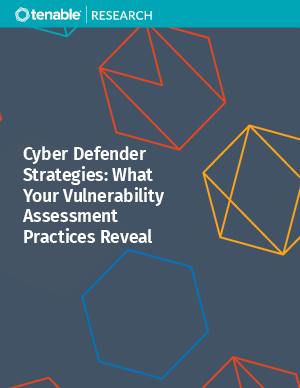 - Find out what steps you can take today to improve your vulnerability assessment strategy – no matter where you are on the maturity scale.